You have the black lace up dress. You have the pointy hat, and flying broom. You have the spell books, and you like to use them. You aren't wicked. You are just a woman who knows what she wants. That's not wicked that’s just common sense. And now that you have everything else you want shoes to match. Not just any shoes, but the perfect shoes. Well, we have the most wicked looking shoes you have ever seen. 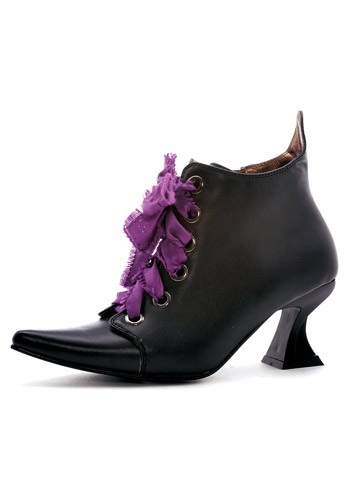 These Women's Lace Up Witch Shoes will match that black dress that you have. The sharp pointed toes fit perfectly with your classic witches hat. All we ask is that you click "Add to Cart", and not use some of your witchy power to magically transport these lovely shoes into your possession.